By Alan Snel, special guest correspondent to Florida Beer Blog.com. For years, Vero Beach carried the tough reputation as Zero Beach, a place where boring oldsters migrated south from the Northeast for the winters. 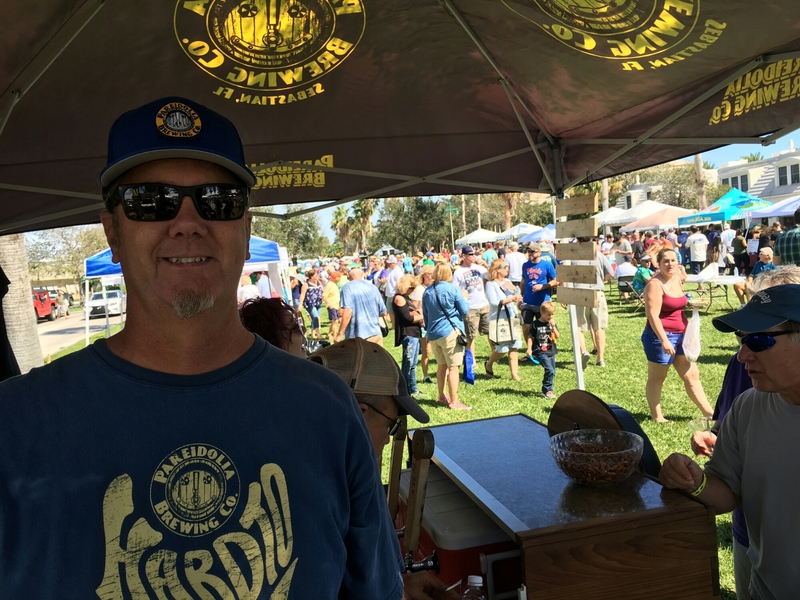 But the Indian River County city of 16,000 about two hours north of Fort Lauderdale blew up that stereotype Saturday afternoon when thousands of craft beer fans turned Vero Beach into a rocking Beero Beach. 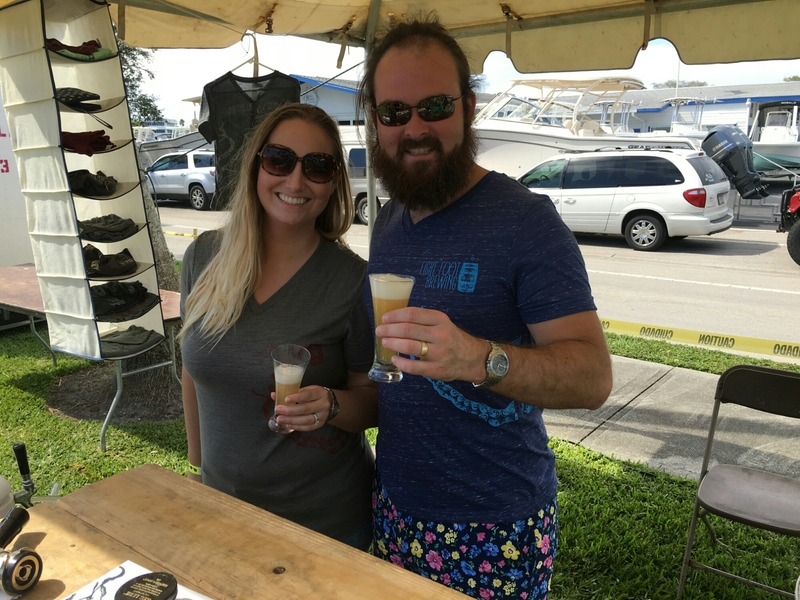 A Beer-Loving couple at the recent Florida Craft Beer & Wingfest. The local Sunrise Rotary put on the Florida Craft Beer & Wingfest at Royal Palm Pointe, a business district on the Indian River Lagoon with a view of the Barber Bridge. About 60 brew brands attracted a monster crowd, with some with the rotary saying it was pushing 10,000 people, which would be more than half of the city’s population. 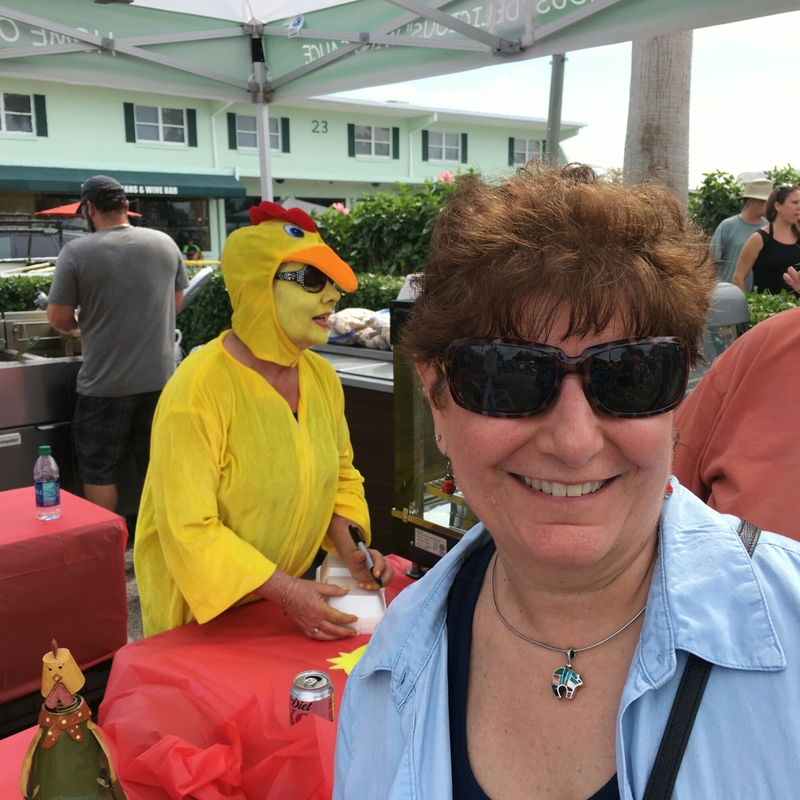 Carolyn Henderson, chicken wing fan from Fort Pierce in front of Nick’s Family Restaurant. Local Vero Beach favorites, Walking Tree and Orchid Island, were joined by Treasure Coast brew neighbors Sailfish Brewing Company of Fort Pierce and Pareidolia Brewing Company of Sebastian. Florida favorites such as Cigar City from Tampa and national powerhouses like Stone and Sierra Nevada were also on hand. The rotary planned for big numbers of beer drinkers, extending the footprint of the beerfest further east to allow for the big crowd, said Alan Dritenbas, co-owner of Walking Tree. It’s the rotary’s major fund-raiser of the year, and chicken wings were on the menu. Pete Anderson, founder/brewer of Pareidolia Brewing Co.
Pete Anderson, founder/brewer of Pareidolia Brewing, enjoyed the scene at his tent, pointing out that his operation will be expanding soon. Over at Sailfish, the tent had a long line of beer fans as the brewery in Fort Pierce just moved into a new trendy space in the heart of downtown Fort Pierce. (Alan Snel writes about bicycles at Bicycle Stories and has covered the craft beer industry in Las Vegas).